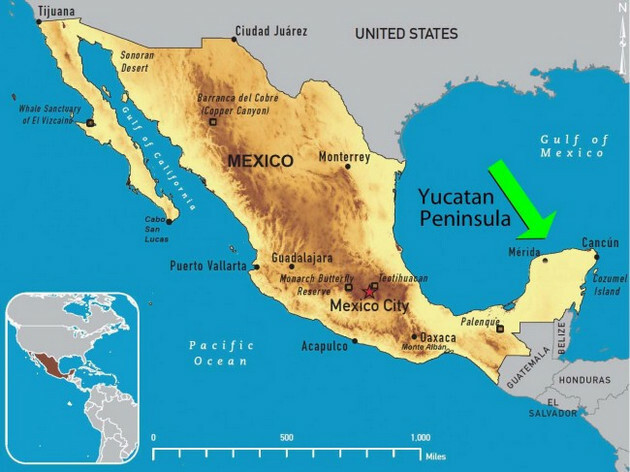 MEXICO CITY, Mar 19 2019 (IPS) - Minerva Montes lost her home on Holbox Island in 2005 when Hurricane Wilma hit the Yucatan Peninsula in southeastern Mexico. Rebuilding her home was quicker and easier than overcoming the psychological aftermath of the catastrophe. A total of 480 Mexican municipalities are especially exposed to the phenomenon, of the 2,457 into which the country is divided, according to a report by the government’s National Institute of Ecology and Climate Change (INECC). The risks, the study estimated, threaten more than 50 million people, out of a total population of 128 million. The Pan American Health Organisation (PAHO) has highlighted the impact on mental health of extreme weather events, such as hurricanes or droughts, during its 2017 regional health conference, which was held shortly after three unusually strong hurricanes wreaked havoc in the Caribbean, especially in island countries. According to the United Nations regional agency, climate change will be a factor in the emergence of new diseases, particularly in the countries most vulnerable to the phenomenon, such as Caribbean island nations, and especially infectious, respiratory, cardiac and mental diseases. It called on governments to adapt their health policies to the new situation. Globally, according to PAHO, it is estimated that in the 2030s the climate footprint on health will cause 250,000 additional deaths annually, from diseases such as those highlighted by the agency. “The first thing is to save lives and get people into safe places. And after that comes the psychosocial intervention. What we pay a lot of attention to is the kind of reaction they have to such an extreme situation. Some people manage to overcome the situation on their own and help others, whole others continue to feel panic,” he told IPS. This is indicated in the 2018 report “Economic losses, poverty and disasters 1998-2017”, produced by the United Nations Office for Disaster Risk Reduction and the Centre for Research on the Epidemiology of Disasters of the School of Public Health of the Catholic University of Louvain, Belgium. 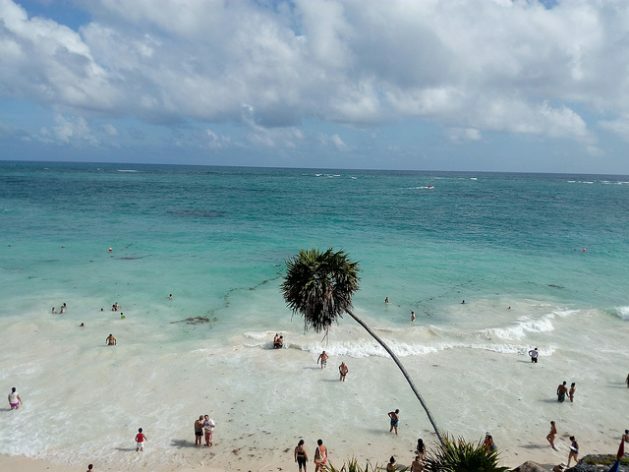 Between 2000 and 2019, Mexico issued 2,145 emergency, disaster and extreme weather warnings, 1,998 – or 93 percent – of which were in response to hydrometeorological events, while the remaining seven percent responded to geological, chemical and health problems. On the other hand, according to the government’s National Risk Atlas, natural and man-made disasters have left a death toll of at least 7,700, more than 27 million people affected by losses and more than 21 billion dollars in damage. The study “Higher temperatures increase suicide rates in the United States and Mexico,” published in the scholarly journal Nature Climate Change in July 2018, found that the suicide rate increases 0.7 percent in U.S. countries and 2.1 percent in Mexican municipalities for each one degree Celsius rise in average monthly temperature. “This effect is similar in hotter versus cooler regions and has not diminished over time, indicating limited historical adaptation,” says the report, which projects that “unmitigated climate change” could lead to between 9,000 and 40,000 additional suicides across the United States and Mexico by 2050. Montes is afraid another disaster could happen.. “A category 4 or 5 hurricane could wipe out everything. It frightens me to think about what could happen to people, the wildlife and vegetation. If the island disappears, there is no plan B, where to go? who to go to? I’m in a more vulnerable situation than if I lived in a city,” she lamented. She says the government should provide more assistance. “Psychological support is essential, because people need to regain emotional security. The fear of losing one’s life, one’s health, everything you face afterward, paralyses you,” she said. According to Álvarez, psychological follow-up and prevention are fundamental. “Disasters also involve socio-organisational aspects, which include many factors. A disaster aggravates existing conflicts,” he said.